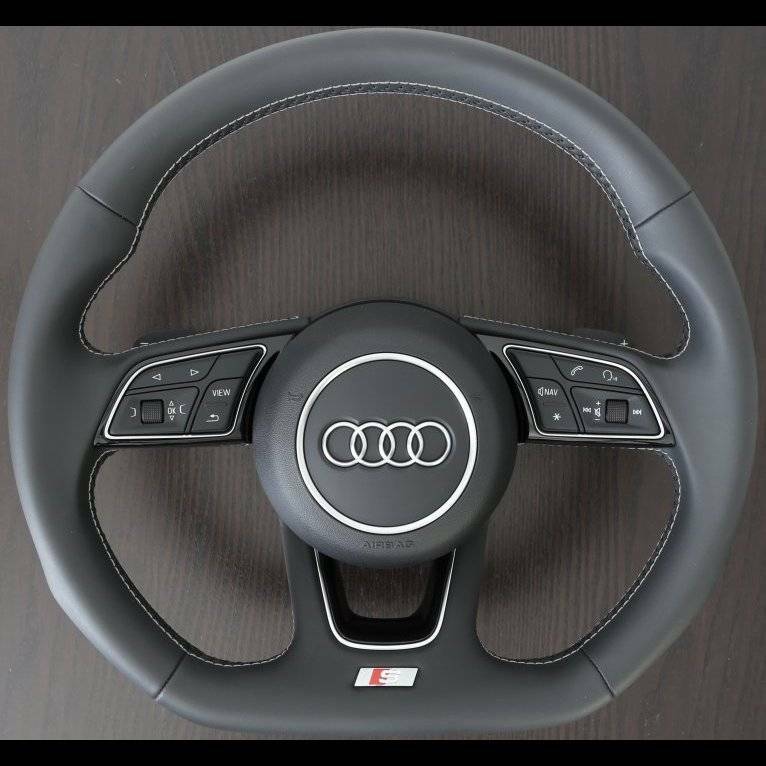 A thicker and more contoured flat-bottom steering wheel wrapped in smooth leather in black leather with cliff grey or magma red stitching and black shift paddles. Includes S badging. *Note that all Q7 models require a package complete with airbag which is included in the pricing.